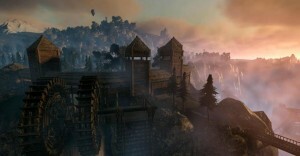 Last year Piranha Bytes announced it’s new project called Elex. The company is known by it’s Gothic and Risen game series. For almost a year fans have been gathering whits of information about the game. Back then, we knew that the game takes place in a completely new post-apocalyptic world. A player will have a wide range of weapons: from swords and axes to plasma-guns and flamethowers. 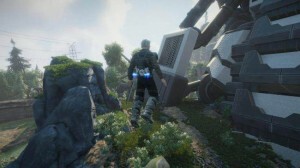 On May 27, the developer has presented a new website for the game. There, one can find a lot of new information about the game. In particular, players will be free to choose where to go within all five regions in the game world right from the start. We also found out a little about the game world. On a once prospering planet called Magalan, the meteor has fallen. It led to deaths of the majority of planet’s population. Together with the meteor, a new element was found. It was called “Elex“. This element is now the most important resource for all parts of human activities., such as: magic (yes, there will be magic), scientific progress and fuel for any kind of machinery. The amount of the element is limited, so it is extremely precious (it partly reminds us of Gothic and it’s ore). According to the plot and experience of previous games by Pirhana Bytes, we can guess that in Elex, there will certainly be fractions that use the element for warcraft, fractions that use it in a peacefull way and those, who deny any use of Elex. No matter what one thinks about Piranha Bytes‘ projects, they always create a turmoil around their games. We can’t wait to see the game on E3! Who knows, mabye the company will bring gameplay video or even a playable version of the game?